Pioneers in the industry, we offer industrial filtration baskets, filter elements, filtration baskets, mist eliminator, cylindrical & conical filter element and rotary valve from India. We are recognized as the renowned manufacturer, wholesaler and, supplier of the superior quality Industrial Filtration Baskets. The offered filtration baskets are manufactured by using the high-quality material as per the set standards of the industry. Offered filtration baskets are checked on several parameters in order to ensure the flawless range. 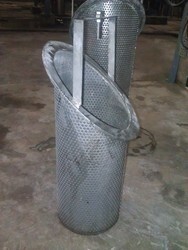 We are giving these filtration baskets from us in a given time frame at reasonable rates. Our firm specializes in manufacturing, wholesaling & supplying a comprehensive range of Filter Elements. 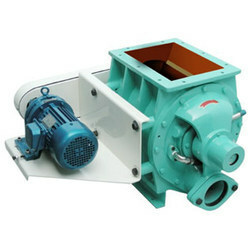 These filter elements are available on diverse specifications so as to fulfill the needs of customers. The provide filter elements are quality tested on several parameters by our quality experts so as to dispatch a defect free range. Our filter elements are for all industrial applications like hydraulic oil and synthetic oil, gas, water and other liquids. 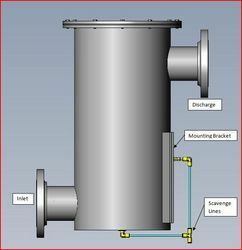 We are offering Filtration Baskets that are developed from high-grade carbon steel and stainless steel. These are available in different models for separating solids from liquids when the two are mixed together. Our basket centrifuges are known for their smooth operation, easy relocation and low maintenance cost. Backed by a team of skilled professionals, we are highly engaged in manufacturing, wholesaling & supplying a wide array of Mist Eliminator. Valued for its usefulness and functions, our experts use optimum quality raw material for manufacturing this mist eliminator along with modern techniques. This mist eliminator is checked on numerous parameters by our quality controllers in order to deliver a defect free range. Customers can avail this mist eliminator from us at nominal rates in a stipulated time frame. 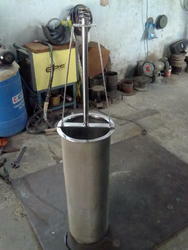 We are a manufacturer of Cylindrical and conical filter for Air Compressor, Blower, etc. Since our inception, we are offering a wide range of Rotary Valves that is used for controlling flow through bulk handling of material, these rotary valves are made by making use of high-quality material and advance technology in adherence to set market parameters. Our offered rotary valves are available in various sizes & specification in order to fulfill the various needs of the clients. We manufacture a wide range of industrial filter elements for air, gas and liquids. 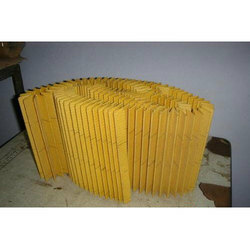 We also manufacture equivalent filter elements as per sample. 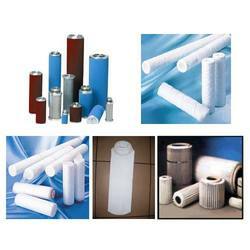 Our company is engaged in manufacturing, wholesaling & supplying a qualitative assortment of Filter Media. Our experts use the optimum quality raw material for manufacturing this filter media along with modern techniques. This filter media is checked on numerous parameters by our quality controllers in order to deliver a defect free range. Customers can avail this filter media from us at nominal rates in a stipulated time frame. We are offering our clients with filters which are useful for separation of suspended particles in liquids up to 1micron. The selection depends on the flow rates, contamination level, operating temperature, operating pressure and type of liquid. Customized filtration systems are necessary in industrial environments where special clean air requirements are requisite. We have standard air intake filters with capacities from 1000 to 60000 scfm and with connections up to 48 inches. 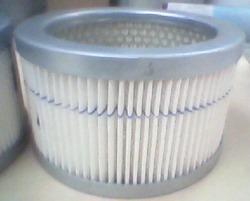 Larger filters are custom-designed. These find use as suction filters in blowers, compressors and, engines. We also have a unique activated carbon fiber media that shows excellent adsorption properties for gaseous as well as heavy metal vapors. This new generation material with potential for a wide range of novel application – adsorption of gaseous pollutants for personal protection, air purification for buildings, hotels, centralized and room air conditioning, solvent recovery, de-odorizing and de-coloring in food processing and beverage industry etc. It also finds applications in smoke filtration, taste and flavor control, personal protection clothing/ masks, wound dressing, blood purification, carrier catalysts in reactions, bio chemical studies and in liquid phase – water treatment plants for waste water, swimming pools and super clean drinking water etc. Looking for Filter Elements ?